Leaders Lab / The Organisation Itself / Unlimited holidays – the next big thing? Unlimited holidays – the next big thing? 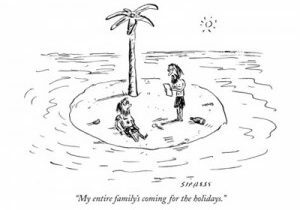 What’s your company policy on staff holidays? If you play by the UK norm of giving employees 20-25 days leave a year, with bank holidays thrown in, then you could be surprised by the growing trend of staff having unlimited time off. And before you think this is just a perk given to quirky, creative-driven companies in Silicon Valley, it’s not just they who are doing it. Yes, there are perhaps more examples of the trend being more active in the USA but many UK companies are catching on fast. So why does offering unlimited holidays seem such a good idea? The benefits to your staff might seem obvious but it wasn’t established just as a gimmick to attract fresh, creative blood to your team. Sheffield-based software business, WANdisco, give their staff unlimited leave as part of the standard employment package. This is a policy change they brought in 18 months ago. The ethos at WANdisco is very much that as they have a committed bunch of people working for them, they are then rewarded with the chance to take time off when they want to. Growing in popularity among hi-tech companies in particular, spending proper quality time outside work is seen as important in order to be engaged and committed when you are at work. And maybe, surprisingly, it’s a privilege that hasn’t yet been abused. If you gave your employees all the time off they wanted, would it be abused? Those who think this is an HR policy innovation worth championing say, that despite having no restrictions on holidays, staff actually only take modest amounts of time off. Figures maybe a little unreliable; some companies record this information, others don’t. WANdisco’s staff, for example, take on average 16 days holiday a year. Before the policy change, staff were allowed an annual 28 days of leave. Despite its attraction for employees, it’s unlikely we’ll be seeing unlimited holidays rolled out nationwide, particularly among larger companies. The possible threat of misuse will put off most HR departments from implementation. But what it does show is that when you get it right, you have a good indication that your staff have a high level of commitment and trust in your business. It acts as a motivator for employees, knowing that they work for a company that has a high level of faith in them. For a more in-depth look at this topic, take a look at this article. Contact us on 01865 881056 or email us at info@leaderslab.co.uk if you’d like to discuss any of the issues raised here.